Seems like the perfect time to skip a meal and have a banana split instead. While you’re at it, might as well invite a few friends over to join in the rebellion and have a great evening! Here are a few ideas I pilfered from Pinterest. 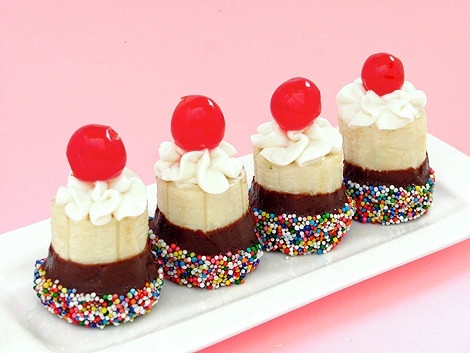 Banana Split Bites – It would be easy to have these prepared and ready to go. Giant Banana Split that will feed everyone all at once. This is really fun from The Red Thread. Grilled Banana Splits from Tasting Table. A traditional banana split, like this one from Baskin-Robbins (that you can easily recreate at home). 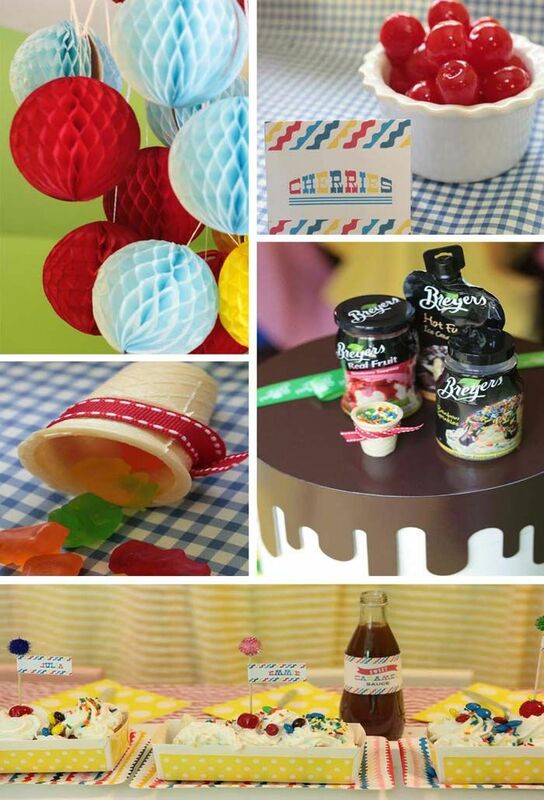 And some fun and colorful ideas for a Banana Split Party from Kara’s Party Ideas.